The year has come to an end! So to close off 2017, here are some of my favorite products that I discovered this past year. I try out and review A TON of products each year, but these products just stood out from the crowd. To give credits where credits are due, I completely stole this idea from Ed Jelley (edjelley.com) who is arguably the master of Lists and Buying Guides! Go check out his blog! The Frara Road Pen Roll has literally been by my side ever since I got it in for review back in August! 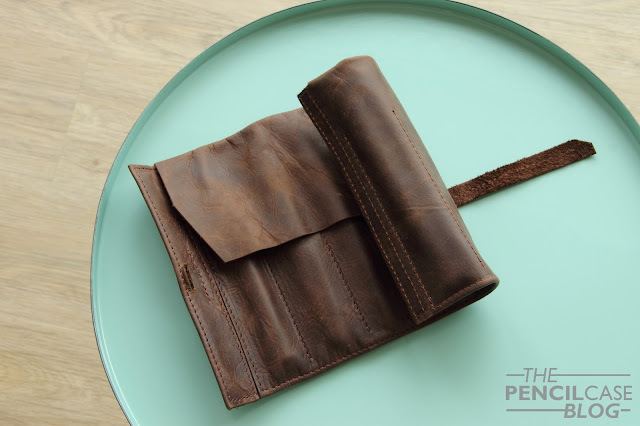 It's a well-made and beautiful leather product made by a small South African brand. This wrap-style of carrying case is new to me, and it. just. works. The form factor is easy to carry, albeit a bit large, but it still manages to fit in my backpack without any issues. The leather quality is amazing, and it can carry six pens safely. Everywhere I took it with me, people commented on it and wanted to know where to get one. Perhaps this is my favourite product of the year. Period. MINIMALIST. MACHINED. METAL. Those are perhaps the three keywords that best describe 2017 for me. 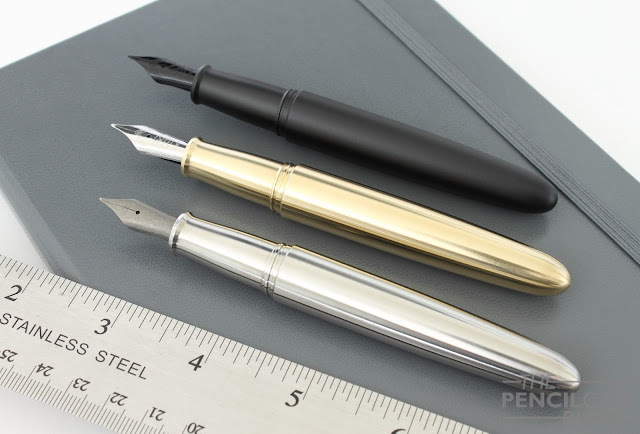 Pens like the Namisu Nova, Karaskustoms EDK, Baron Fig Squire, Kaweco Brass Sport and perhaps my favorite: The Ensso Piuma! These metal pens have made up a big part of my daily carry in the past year. I just love the solid feeling, and solid performance they deliver. And as a chemist, the metallurgy behind the different metals fascinates me. The Ensso Piuma jump out from the rest because they were just so well-designed and well-made. It's not as easy to make a minimal product as people may think, and Ensso just hit a homerun with these! The design is as sleek as it gets, but at the same time it's also manages to be a very comfortable writer (something the Namisu Nova -The honorable mention- lacked a bit). 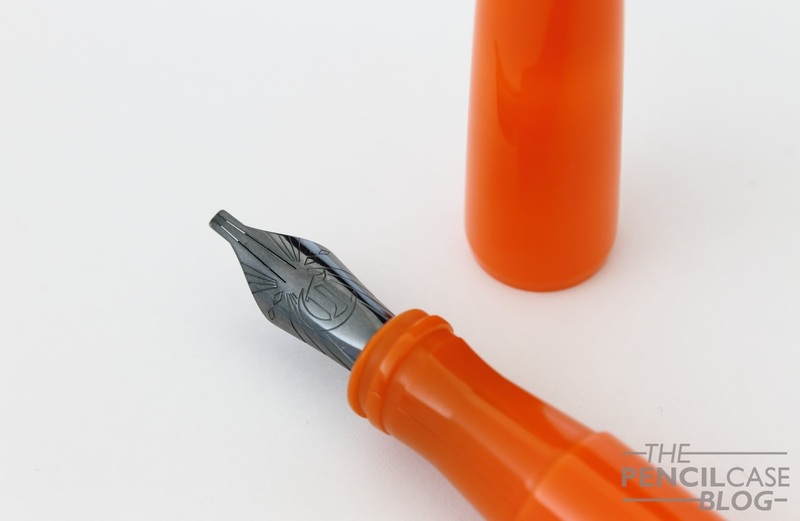 On top of that, I also like the #6 Bock nibs that you can find on most of these machined metal pens, which I think are excellent writers (especially the titanium ones are a lot of fun!). 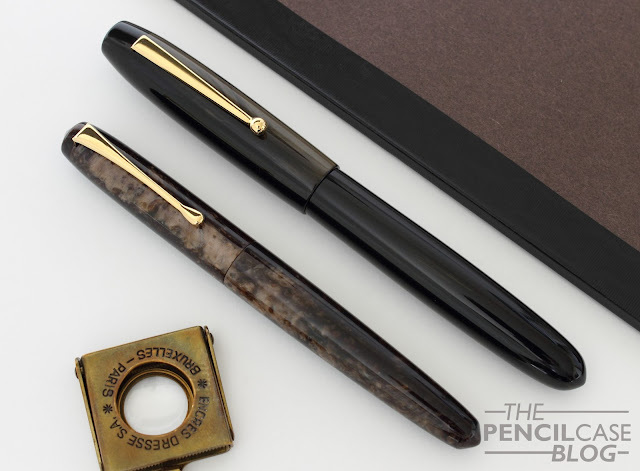 High-end Pilot pens like the 823 often get flak for being boring and uninspired designs. And while that may be true -The design of the 823 is about as classic as it gets-, it does provide a seriously impressive writing experience. The 823 is a pen you can write with non-stop. It's comfortable, smooth, reliable and it has an ink capacity that will last you several days of intense use. I got mine with a medium nib, and while I generally think medium nibs are boring, this is the most amazing boring medium I've used in a long while! True, this pen won't win beauty contests, and it may not win your heart because of that. But it's undeniably a first-class workhorse of a pen. 2017 Was the year of the inks apparently. A lot of new brands popped up, and my collection got even further out of hand with 57 new bottles (I'm almost ashamed of myself). 15 Of those new additions were from the hand of Australian brand Robert Oster, which is quite a subtle indication of how much I like them. 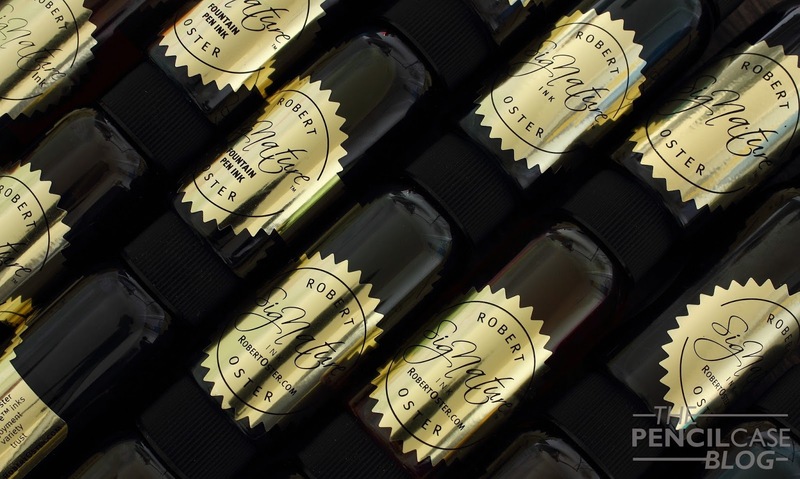 In general, they are solid inks with excellent flow and behaviour. Some of them shade really well, some have killer sheen, and others I like purely for the color itself. I had been on the lookout for another Franklin-Christoph for a while. Because they are only available in the US, I kept holding off. But then my good friend Janine (@Janinescribbles on Instagram!) went to the DC pen show, and she was kind enough to bring one home for me! 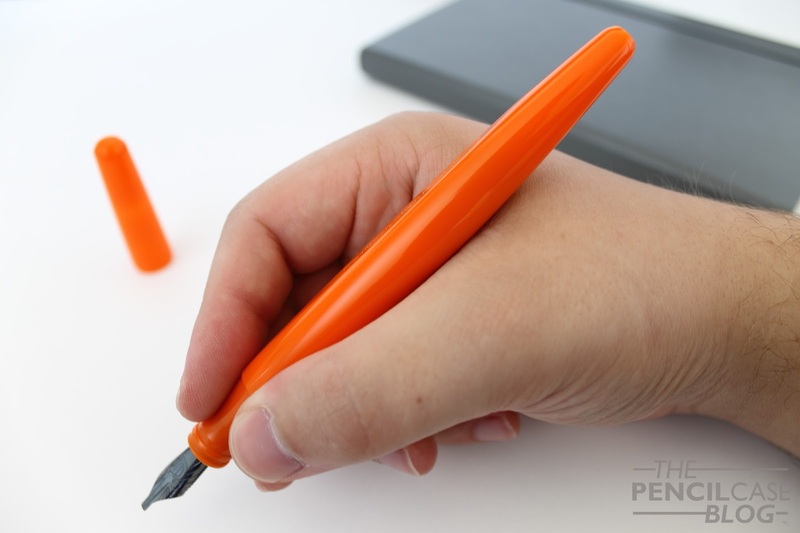 I went for an eye-searingly bright orange Model 66, which is a large desk-type pen. And I absolutely love it to bits! It's a large, quirky pen that grabs the attention. But more importantly, it's an amazing writer. The long, lightweight acrylic pen may not be the most practical to take with you (although it still fits my Visconti Dreamtouch pen cases...barely), but it's very comfortable and easygoing. This pen really sings, especially paired with the Franklin-Christoph Shadow Music nib (a three-tine 1.9mm stub). The music nib really brings the whole experience to the next level. The wet flow from the three tines provides a perfect writing experience, where I feel like other stubs often lack consistency and flow. The line is wide and crisp. I keep it inked up with Ky-No-Oto Yamabuki-Iro which has some of the best shading, and this nib takes full advantage of that. Top: Edison Collier Burnished Gold, Bottom: Edison Pearlette Canyon Trail. 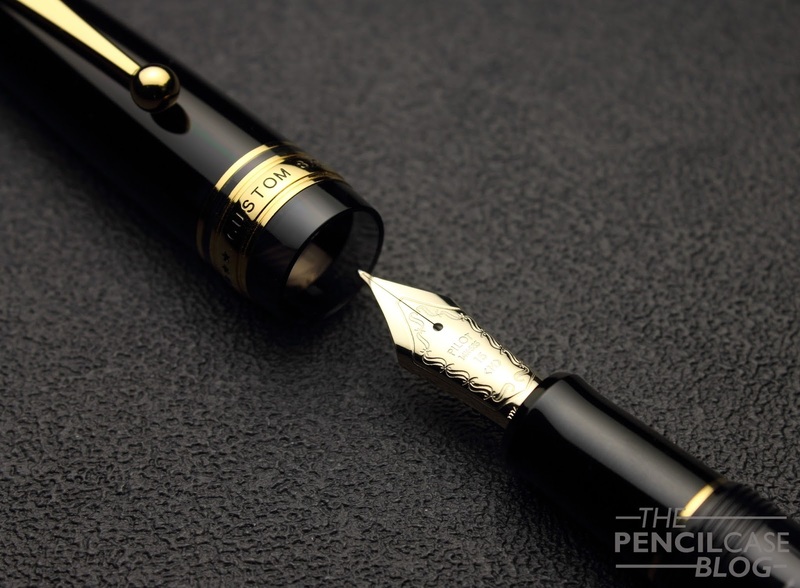 Last but not least on my list is another semi-bespoke pen brand from the US: Edison! The Edison Collier surprised me last year, and this year again with the new Burnished Gold version (that I reviewed HERE). But my real favourite was the Pearlette. This was a surprise, and kind of an impulse buy at the Tilburg Pen show, but I haven't had the slightest regret! The Pearlette is a smaller pen, which is the main reason why it flew under my radar in the past. But this year's new Canyon Trail finish is downright mesmerizing. The material has an amazing depth to it, and the size is actually much more comfortable than I thought it would be. It's a bit of an adaptation from what I normally use, but it fits my hand just right (YMMV, of course). To end this post, first of all: Happy New Year everyone! I wish you all a happy and healthy 2018, filled with pens of course! Thanks also, for reading and supporting my blog. You're awesome, and you're the reason I keep doing this! I think it's also the perfect time to thank my loyal sponsors for their continued support. These sponsors keep this blog going, and provide products for reviews and giveaways. Go give them a follow on social media, browse their webshops, and don't forget to use the discount codes that some of them provide for readers of The Pencilcase Blog! Disclaimer: I received some of these products for review. However that doesn't change the fact that I reached for these products the most during the past year, this list is based solely on which products I used and enjoyed most throughout the year. There are no affilate links in this post.